Berlin-based BEIN kicks off his Be As One debut with a mental shaded and well-crafted four-tracker, Undo Redo, his own take on modern-meets-old-school techno. From the darkroom melodies and pads of "Undo Redo" through the Detroit-ish touch of "Ante Litteram" and "Crystal" to the broken beats and heavy bass of on "Rawk", this is a classic not-to-be-missed release from Shlomi Aber's long-standing imprint. Be As One debuting a new exclusive artist on the imprint: the mysterious Black Hypnotist, with a superb four tracker, straight-to-the-floor and well-crafted trippy techno cuts. The acid master Steve Parker is making his Be As One debut with a storming four track EP in the form of Shades Of The Unknown. While continuing to explore the diversity of the acid sound, Steve, the man and the machine crosses boundaries once again with his highly intelligent production style and trips between rough and soft cross genre techno. Linkan Ray is back to Be As One with his second release on the label in the form of Universal Language. Backed up with two excellent remixes from the Israeli label boss Shlomi Aber and the always on point ROD. Dark room techno boomers, not to be missed. Shlomi Aber presents his third album Linear Equations. 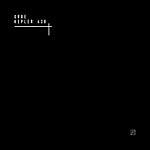 The ten-tracker double-LP closes the ten-year celebration of Be As One and follows his 2010 album Chicago Days, Detroit Nights on Ovum Recordings (OVM 9010CD/EP). Through carefully crafted EPs on NonPlus, Figure, Be As One, and more recently Odd Even and Drumcode Ltd, Shlomi's sound has continued to evolve and refine with his Linear Equation album. The album opens up with "Interior", setting the tone for an introspective journey that will take you from the dub-infused techno of "Echo Mission" and "Fractions" to the acidic trip of "Midnight Spooks" and "Mod3333". Hypnotic techno on "Eimeon" and "Fall Into Wonder" flirts with broken beats on "Installer" and climax with the floating percussions and anthemic pads of "State Of Sorrow". Gatefold sleeve. Shlomi Aber is back on his Be As One label with Panix EP, this time joined by Swedish techno master Skudge. Keeping the no nonsense techno attitude of his latest Nonplus release, "Panix" keeps bearing Shlomi's relentless, dark and raw signature sound. Skudge strips down "Panix" into two separate remixes, taking the original into a deeper and back to basics mood, with his known trademark grooves. Another exciting debut on Be As One, this time coming from a real stalwart of the German techno scene of the past two decades, Savas Pascalidis. With Fading Lights EP, Savas explores shades of modern techno while retaining his trademark classic sound throughout the four tracks, delivering a perfect fit between the German talented producer and the label's exciting catalog. Techno heads, don't sleep on this. Be As One label boss Shlomi Aber steps up with a storming "back-to-basics" EP for his label's 60th release. Paradox EP packs together the strength of Shlomi's own "Paradox" and "Monday Paranoia" originals, two cuts of proper darkroom and sweaty techno, with a remix by one of Germany's techno ambassadors, Markus Suckut. Lathe enters the Be As One family with a bang. Three cuts of peak-time techno stormers plus a vinyl-only DJ-tool straight from Italy. Shlomi Aber's Be As One welcomes Valent.. The German producer debuts on the label with four storming acid tracks - acid meets techno again on the BAO catalog. Highly recommended for the heads. Be as One debuts Swiss techno head Gomorra. 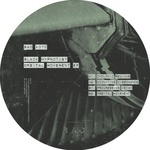 His first appearance on the label is a three-track EP of dark and well-crafted techno in his significant trademark style. Following the success of Be as One's releases by Markus Suckut (BAO 053EP) and Eduardo de la Calle (BAO 054EP), label founder Shlomi Aber presents another EP of driven, pulsating, relentless techno, topped with remixes by two of the most sought-after producers around, Truncate and Jeroen Search. Another one to bag. Following Markus Suckut's 2015 debut on the label (Watching the Sunset (BAO 053EP)), Be As One welcomes Eduardo de la Calle, one of the most interesting and passionate producers out there and a master of his craft. Deep, melodic, and thoughtful techno; two very special cuts that push his limits to the next level. Markus Suckut needs no introduction in the techno scene, having established himself as one of the main techno artists coming out of Germany with releases on Cocoon, Figure, Mosaic, Non Series, and more. His debut on Be As One, Watching the Sunset, features three cuts of finely produced techno, from peak-time into after-hours, with Suckut's very own raw trademark sound perfectly in balance with Be As One's other techno offerings. Rising Italian talent Marco Faraone showcases different takes of his approach to techno. "Restrictions" opens the 12" with a dark, fast-paced groove and hypnotic vocal, a real treat for the authentic techno players. 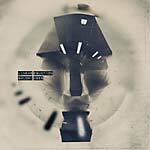 With "Day 20" Marco enters the dub techno forest, with classic dub elements that set the tone to a deeper mood. "Early Morning" gets an overdue vinyl pressing after being featured exclusively on Shlomi Aber's 2013 compilation Live from Sankeys Ibiza (BAO 002CD). "Voices from the Sea" closes with a more festive approach, a big-room anthem that maintains the EP's dark vibe. After his latest Be As One release O.D. / Helter Skelter , and following Yotam Avni and Konplott's endevours on the label, Shlomi Aber keeps Techno flowing from his imprint, releasing his new Zipperwork / Clones In My Backroom EP. Zipperwork is a relentless, fast paced Techno cut, heavy bass and chunky groove, with a smartly programmed groove. Flip the side, and with Clones In My Backroom you get a slice of straight acidic Techno funk, a big room anthem with a distinctive quirky line that goes the extra mile, set to be one of the major of tune of Spring 2015. Italian techno duo Konplott follow up Fixed EP (BAO 045EP), their excellent 2014 debut on Be As One. "Close Your Eyes" is an uplifting cut of soul-infused techno, based on old school chords and dreamy vocals, which will appeal to the hardware-based house and techno lovers. "No Man's Land" is a smartly crafted, functional cut for club peak-time. Be As One Imprint presents another young and bright producer with a promising career ahead of him. Yotam Avni's unique approach to music didn't take long to catch the attention of Be As One, who immediately brought him on board. Avni debuts on the Israeli label with an EP that reflects how he sees techno: dark, raw, pumping, relentless. The A-side, "UR Sleeping," is emotional and melodic, and it's backed by the Detroit-inspired "Better Days." Timeless techno once again on BAO.